I visited Bean & Beyond in Steveston today for a light lunch. I had a $4 voucher that entitled me to any choice of panini, a soup/salad and a regular coffee. I chose the turkey cranberry panini with a side of salad. 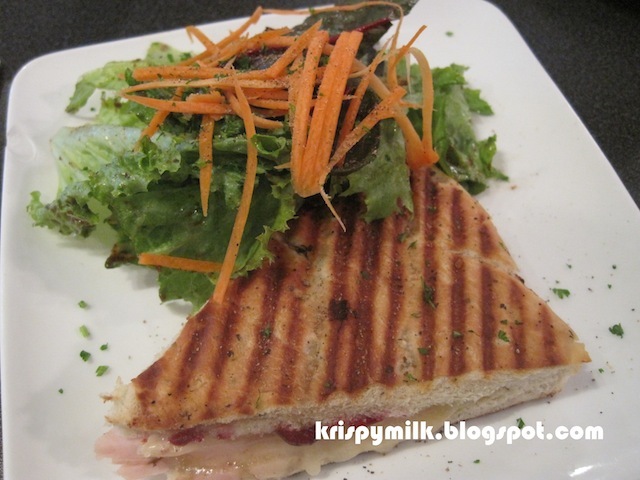 The salad was average, but the panini was quite good. It was nice and hot with lots of dried cranberries. The sweet and sour berries tasted great with the turkey ham and melted brie. 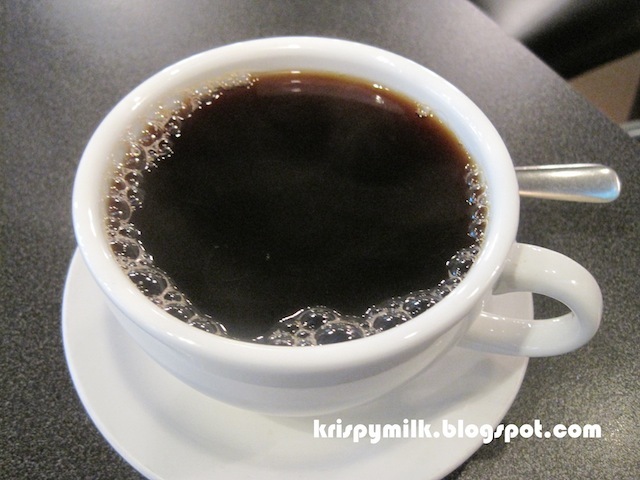 The regular coffee was indeed quite regular. I didn't find it particularly good although this place is called Bean & Beyond and you would expect them to have really good coffee beans. But I only paid $4 for the panini, salad and coffee, so I'm not complaining. The upside was the cup was pretty big and there were free refills. I wasn't very full, and I saw Belgian waffles ($8) on the menu, so I decided to get that for dessert. I chose the blueberry option, but I didn't expect there to be so many blueberries. There were 2 pieces of waffle with a ton of blueberries squished between them, more blueberries on top, and a huge dollop of whipped cream topping the whole thing. I can't say I liked it though because the waffles were not the soft and fluffy kind. They were kind of hard and very difficult to cut through with a regular butter knife. They were served only slightly warm in a huge pool of blueberry sauce that was so liquidy that it just made the waffles wet. The result was a hard waffle that was slightly soggy on the outside. 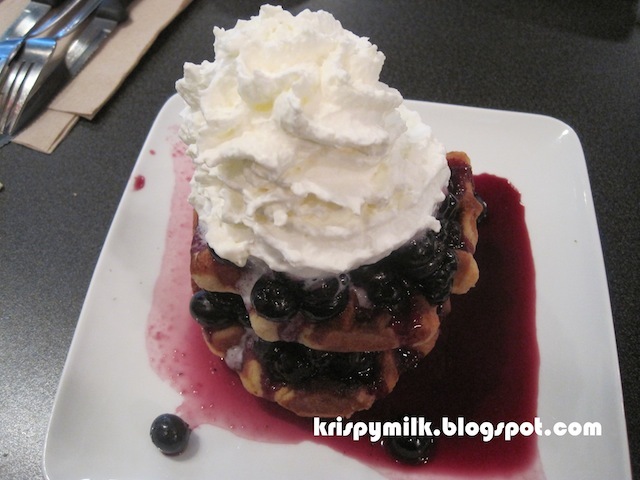 It didn't taste bad, but I think it might have been better without the excess of blueberry sauce. The panini was great, the coffee was average, and I have yet to try their specialty coffees. I wouldn't get the waffle again though.